The characteristics of spun yarn depend, in part, on the amount of twist given to the fibers during spinning. A fairly high degree of twist produces strong yarn; a low twist produces softer, more lustrous yarn; and a very tight twist produces crepe yarn. Yarns are also classified by their number of parts. A single yarn is made from a group of filament or staple fibers twisted together. Ply yarns are made by twisting two or more single yarns. Cord yarns are made by twisting together two or more ply yarns. Almost eight billion pounds (3.6 billion kg) of spun yarn was produced in the United States during 1995, with 40% being produced in North Carolina alone. 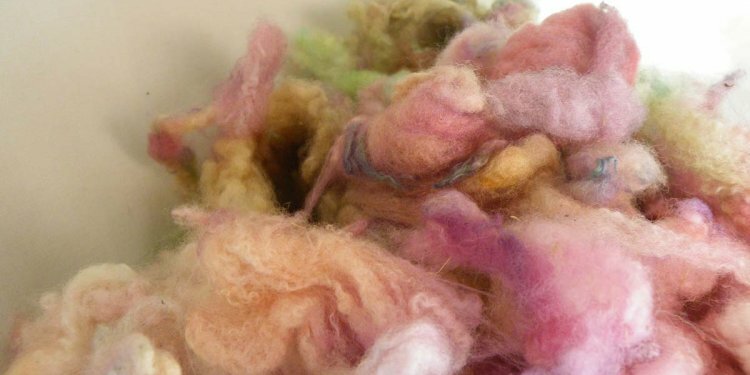 Over 50% of spun yarn is made from cotton. Textured, crimped, or bulked yarn comprised one half of the total spun. Textured yarn has higher volume due to physical, chemical, or heat treatments. Crimped yarn is made of thermoplastic fibers of deformed shape. Bulked yarn is formed from fibers that are inherently bulky and cannot be closely packed. Yarn is used to make textiles using a variety of processes, including weaving, knitting, and felting. Nearly four billion pounds (1.8 billion kg) of weaving yarn, three billion pounds (1.4 kg) of machine knitting yarn, and one billion pounds (450 million kg) of carpet and rug yarn was produced in the United States during in 1995. The U.S. textile industry employs over 600, 000 workers and consumes around 16 billion pounds (7 billion kg) of mill fiber per year, with industry profits estimated at $2.1 billion in 1996. Exports represent more than 11% of industry sales, approaching $7 billion. The apparel industry employs another one million workers. Natural fibers—cotton, flax, silk, and wool—represent the major fibers available to ancient civilizations. The earliest known samples of yarn and fabric of any kind were found near Robenhausen, Switzerland, where bundles of flax fibers and yarns and fragments of plain-weave linen fabric, were estimated to be about 7, 000 years old.